This extremely magnificent leather jacket is one of our best-selling items at Xtreme Jackets! 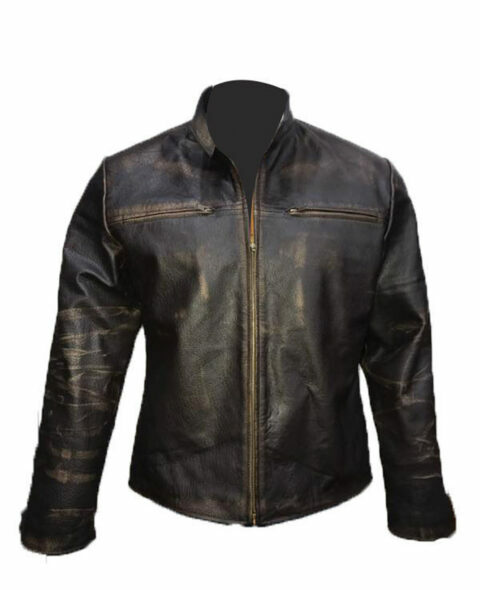 The ultimate “”Men’s Cafe Racer Moto Distressed Leather Jacket”” is the classic look in vintage and retro fashion. Manufactured carefully to maintain the retro detailing which is the essence of the jacket, it is a superb choice to impress all your friends and to stand out from the crowd in any gathering. 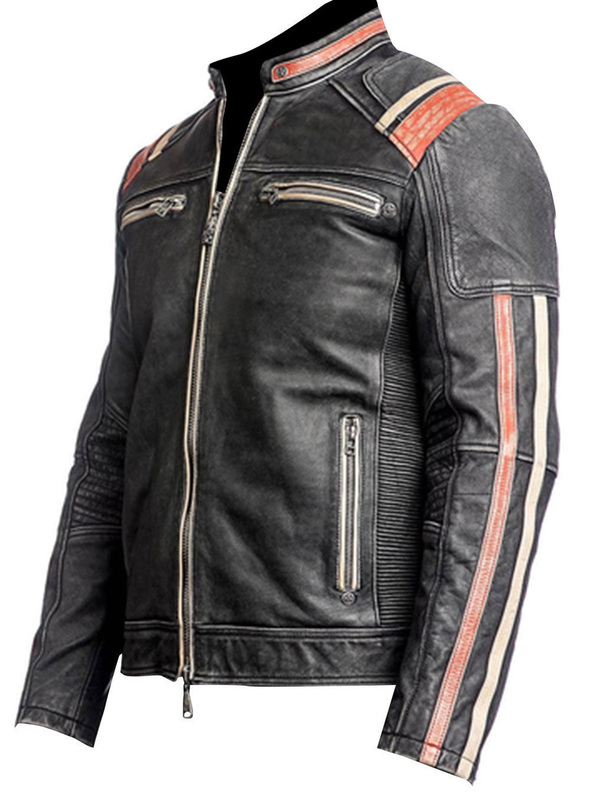 The black color, detailed with orange stripes adds an element of uniqueness to the jacket. It is manufactured from real leather lamb skin with front zip closure, low collar and zipper cuffs. There are two waist pockets and two chest pockets. Gatherings, parties, and dates, will look completely change once you don this beauty. So what are you waiting for? Buy it now!